I normally don't do a wrap up of my weekend, but because I crossed off so many things on my "vacation in my city" bucket list, I needed to talk about them! Friday was also exceptionally wonderful. I also normally do not post on Tuesday's but I really wanted to do this amazing link up yesterday, so I had to move this over to today. Lots of exciting things going on all around! The first thing I accomplished on my list was seeing 3 plays. A few weeks back I went and saw Shakespeare's Love's Labour's Lost. It put me on a kick to see more plays because there are so many wonderful options in my area. 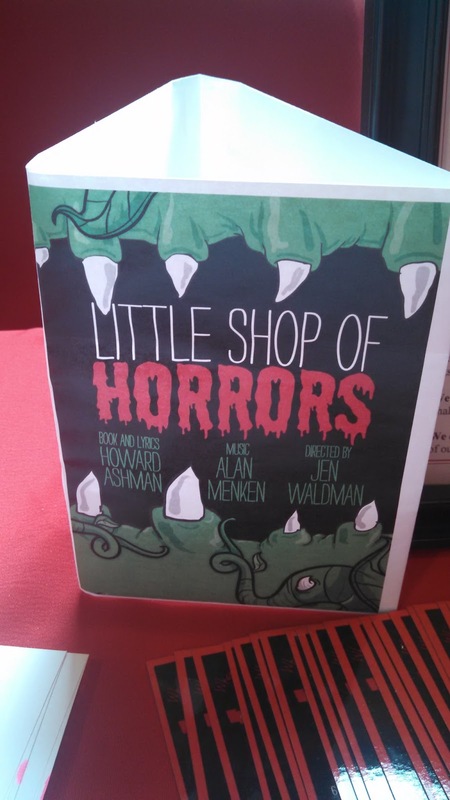 I saw that Little Shop of Horrors was playing locally and REALLY wanted to see that. I went out to lunch with my boyfriend on Friday and saw an advertisement for it and realized that Saturday was the last showing! We immediately decided that we wanted to go that night. The theater that was hosting it is a small venue where no seat in the house is a bad seat. We had seats off to the right and had a great view of the stage. The play was more interactive with dancing and singing around the whole venue. It was fantastic and I am so glad I got to experience such a well done show in my little city! Little Shop of Horrors first came out as a movie in 1960 and then was adapted into a musical in 1982. The movie was then released again in 1986 which was adapted from the 1982 musical. Lots of fun history here and a big cult following! 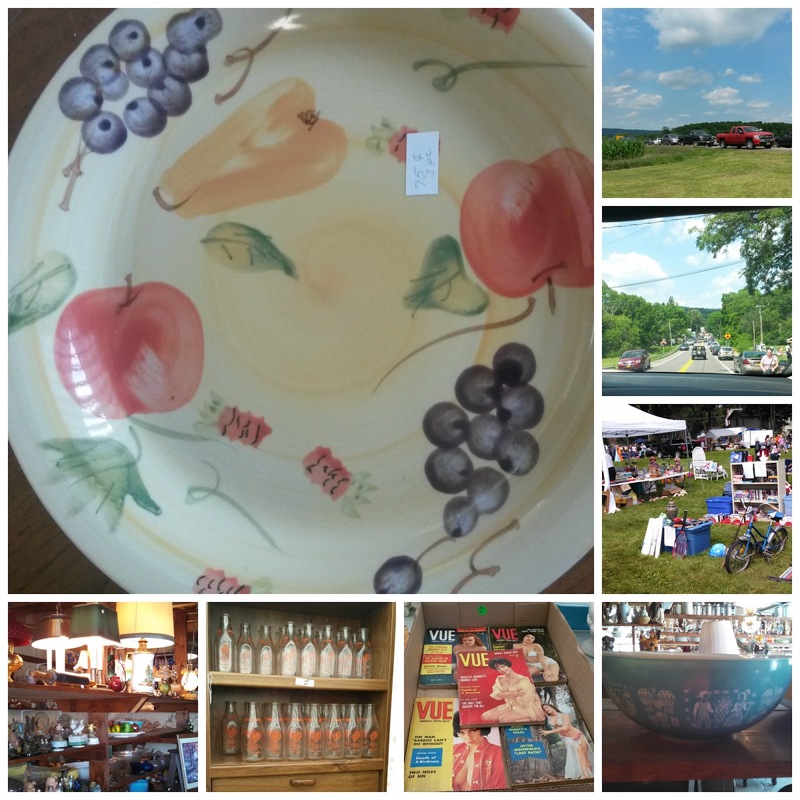 On Saturday was the first day of the Route 90 50 miles yard sale. I have never been and it is a yearly local event that happens on the last weekend of July. This yard sale started back in 1988 and has grown along the scenic byway or Route 90 in central NY. It now hosts up to 500 sales making it a fun day event where you can score some great deals. You can also come across some interesting things. I wish I took more photos of some of the stuff I saw. Next time! The road was packed with people and cars so you really need to pay attention to where you are going. I was only able to spend about an hour on the route, but I scored some awesome pasta bowls for only $0.75! Can't beat that deal! After braving the crowds of the yard sales, we went home and relaxed before heading out to play number 3 (Number 2 for the weekend). We decided on the last night of the showing of Hamlet. Another Shakespeare goodie! If you are ever in the Finger Lakes area in the summer look in on the Cornell outdoor plays. They are cheap (Only $10) and are very well done. You bring your own chairs (or make it a picnic and bring blankets), food, and beverages. It is a night of fun, food, and entertainment outside. Sunday was a sleep-in kind of morning. I rolled out of bed at 9am and got ready to meet some friends for brunch! This ended up being another bucket list cross off because they took us to a lovely cafe/winery that we have never been to. We arrived to find a half hour wait before being seated. This was the best news because if you were there for brunch and had to wait, you get a complimentary wine tasting. 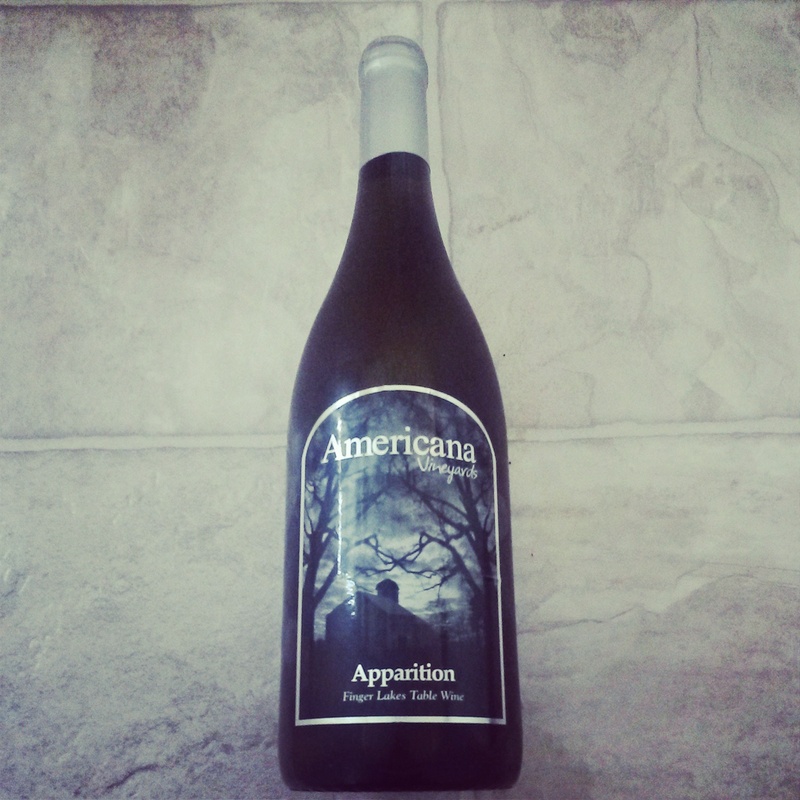 We got to taste 6 wines and I fell in love with the haunting flavor of Apparition. This sucker was coming home with me one way or another. We headed on into brunch and the food was also amazing. What more can you ask for on a Sunday? Brunch AND wine? I'll take it! We had such a nice day. Great conversation with great people. Just what I needed. A relaxing day to ready me for another busy week! All of these event I took part in this weekend have also created some new ideas for blog posts as well. This is why it is so important to live your life. It gives you things to write about. What do you do to keep your ideas flowing? Is the weekend your down time, or a time to cross off those bucket lists? Make it great Tuesday everyone! Wine tasting while you wait? That sounds amazing! I'm glad you're finding such great experiences right in your home town. And congratulations on the new job!!! There really is so much to do in my area. I love it. Thank you so much! I am so excited for my new position. Lots of new stuff coming! Sounds like a great weekend to me! Also, congrats on the new job, so exciting! It was so much fun! Thank you! I am so excited to start and see where it goes! Which theatre had Little Shop? So sad I missed it! Hangar Theater. It was so good! I love crossing things off my list. Unfortunately it's usually stuff I don't want to do. Now I'm inspired to make my own bucket list! Maybe I will put wine tasting while waiting on the top! Wine tasting is a wonderful idea! OMG!!! Congrats on the job! !